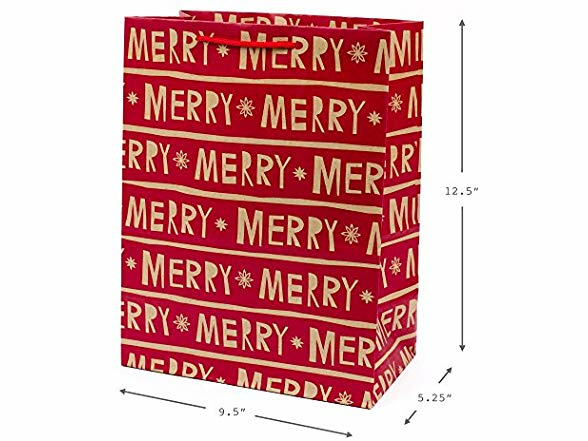 Each bag in this pack of large Christmas gift bags measures 9.5" wide x 12.5" tall x 5.25" deep and can support up to 10 pounds. 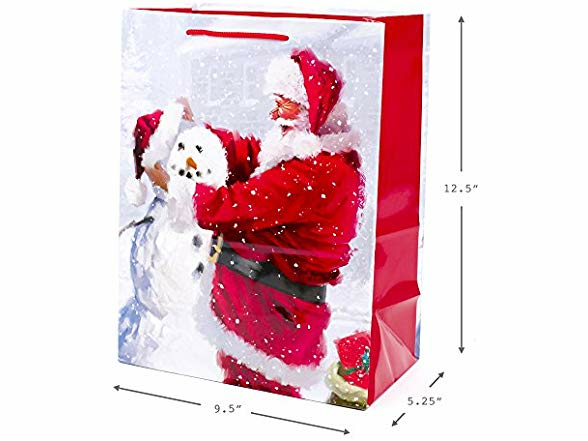 Holiday gift bags are perfect for gifting books, clothing, stuffed animals, puzzles, action figures, or fashion dolls. 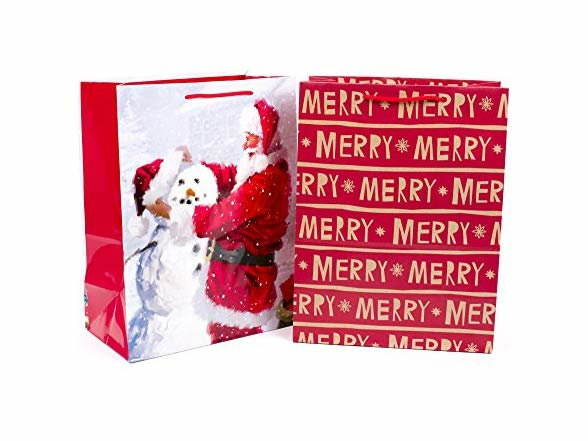 Bags feature two seasonal designs: Kraft paper "Merry Christmas" lettering and Santa Claus building a snowman. 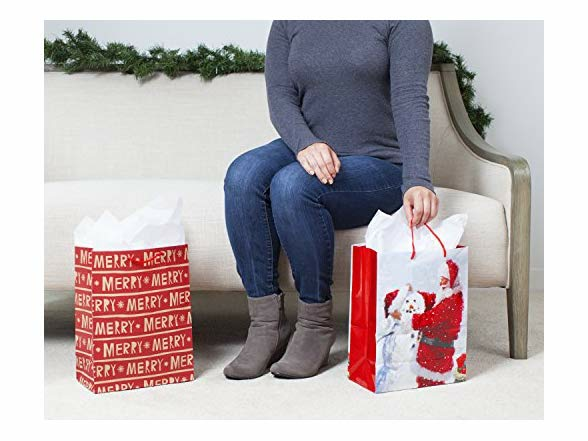 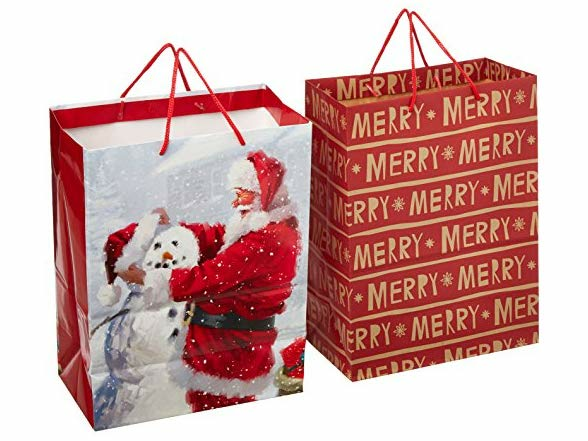 Purchase includes two large reusable gift bags with unique holiday designs.